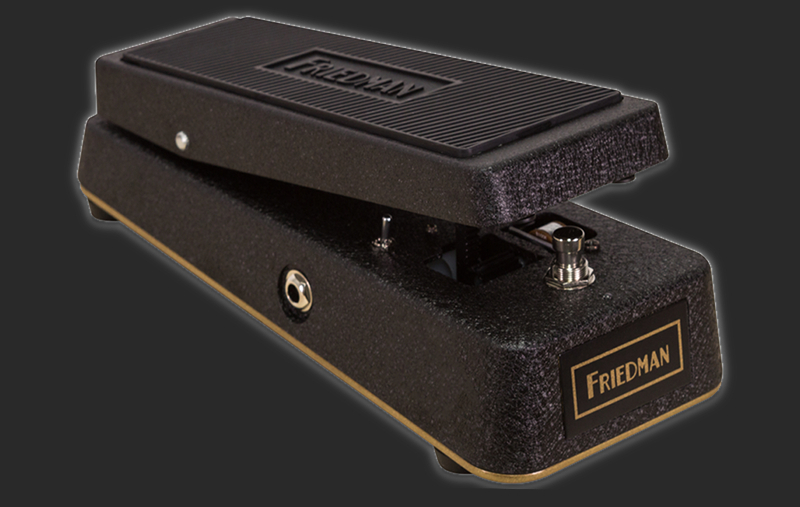 The Friedman Amplification company offered a new wah pedal – No More Tears Gold-72 Wah. This model uses a number of solutions developed by Dave Friedman and used by him for years in other pedals, and also has non-standard capabilities to control the character of the sound. The control elements offered by Gold-72 Wah include, among others, Sweep switch located under the pedal, allowing you to choose one of three settings. Thanks to this, we can choose both the classic vintage mode and one of the two characterized by a wider range of sweep and thus obtain a wide palette of sounds. Gold-72 Wah also gives the possibility to adjust the pedal’s work to our requirements thanks to the easily accessible screw. The new duck also gives you the option to choose between True Bypass and buffered mode (the same buffer used as in Buffer Bay). Another useful addition when using the effect is a blue LED to inform you whether the device is on or off.